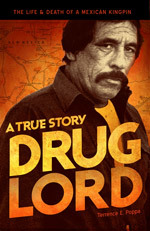 There has also been a noticeable increase in the smuggling of cocaine through Mexico, with significant quantities of cocaine produced in South America crossing the southwest border, and although the largest worldwide marijuana seizure to date occurred in the state of Chihuahua in November 1984, it is believed that there are major quantities still available. The amount of marijuana seized along the U.S.-Mexico border has more than tripled in the last year. Recent seizures of very high-grade marijuana tops suggests the existence of very large stockpiles still in Mexico. This report focuses on the Pablo Acosta Organization, believed responsible for most of the narcotics flowing into Texas from the Ojinaga, Chihuahua area. The Acosta organization accomplishes its smuggling operations mostly by land and sometimes by private aircraft. Acosta’s heroin is noted for its high purity, known to be as high as 93 percent, which is known as black tar due to its appearance. His marijuana has improved, with most of the recent seizures traced to the organization being of high quality tops. This organization is also responsible for approximately 70 percent of all 4×4 and pickup thefts reported in the Texas Panhandle, West Texas, and eastern New Mexico areas. Thefts usually involve new and used Ford Broncos, GMC Jimmies, Chevrolet Suburbans, Blazers, four-wheel drive vehicles, etc. Often these vehicles are stolen from dealerships by (1) (thieves posing as) potential customers who distract salesmen and take a vehicle on a test run. These vehicles are then driven directly to Mexico and traded for drugs, never to return, (2) using duplicated keys after closing, and (3) using an employee of the dealership. These vehicles are then driven directly into Mexico and traded for drugs. The Acosta organization is also a reported major receiver of stolen weapons traded for drugs. There are over 500 known members of the Acosta organization with factions in Amarillo, Dallas, Fort Worth, Hereford, Lubbock, Big Spring, Odessa, Midland, Kermit, Pecos, Monahans, Fort Stockton, Presidio, El Paso, and Big Bend, Texas. Associates in other Texas and New Mexico cities, as well as in Kansas, Oklahoma, Missouri, Nevada, Idaho, North Carolina, and Michigan, have also been identified. Acosta’s organization is very fluid and many of the members know only the person with whom they deal directly. Because of this, Acosta is very well insulated. Being a blood relation or having a long time family or business relationship is the exclusive qualification for membership. Active members may include law enforcement personnel and attorneys. The organization is extremely difficult to penetrate because of this criterion for membership, and informants are almost non-existent because of fear of retaliation by Acosta. Acosta directs his organization with an iron fist and does not tolerate rebellion, either overt or covert. If a leak is suspected, or if a member or associate fails to act as expected, they are removed quickly and permanently. He has a strict enforcement policy, which is killing the delinquent customer. Acosta takes a personal and active interest in any bad business practices, or talking by his enemies or competitors. His killings are very flamboyant and are done in a distinctive manner as an example to others. He is a vicious and extremely dangerous person who has little regard for human life if it stands in the way of his operation. Although he is small in stature, he does not hesitate to become involved in a gun battle with his peers or with law enforcement personnel. Acosta has put out several contracts on competitors and has been implicated in two Hobbs, New Mexico, murders and four in Mexico. His organization has been linked to at least twenty murders, and the total may even be double that number. Reports are that he has begun to arm his members with Teflon-coated ammunition capable of penetrating body-armor type bullet-proof vests worn by law enforcement officers. Acosta himself is known to wear a bulletproof vest and usually travels with or is followed by heavily armed bodyguards. Acosta is wanted in the United States for smuggling and distributing heroin and marijuana and is wanted by Mexican officials for questioning in the shooting of three persons in Ojinaga in late September 1983. Although he is a fugitive, information indicates that he moves freely across the U.S.-Mexico border, undetected or with disregard. Acosta is in possession of a legal alien permanent resident card under an assumed name and has no reservations about entering the United States. He pays high level protection for this freedom to the local level of Mexican officials, and spends close to $100,000 per month for that protection. Acosta was reportedly shot in the head in 1983 during a skirmish in which Fermin Arevalo was killed. He received a serious eye injury and was wearing an eye patch. However, recent reports indicate that his appearance has changed considerably, as he now weighs between 185 and 195 pounds. His hair is turning gray, and he has had plastic surgery to repair the bullet wound. He is allegedly experiencing problems with the Mexican Federal Judicial Police in Chihuahua and with other trafficking elements in the Ojinaga area. Varying reports give Acosta’s current whereabouts as Ciudad Juarez, Nogales, and Ojinaga. Information was received in May 1985 that he was purportedly trying to get out of the drug business and was planning to leave la plaza in Ojinaga to a subject identified only as Armandad, while Acosta moved deeper into Mexico. 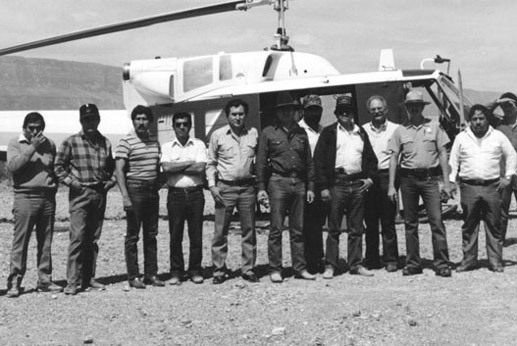 In June 1985, information was received that Amado Carrillo Fuentes may be the head of Mexican organized crime in the Ojinaga area and superior to Acosta. Carrillo has been in the Ojinaga area approximately three months and owns Rancho La Perla in Manuel Benavides, Chihuahua. Carrillo was reportedly from the Guadalajara area and worked for the Mexican federal government in an unknown capacity for the last five years. Allegedly, Carrillo is extremely well connected, including links to the comandante of Ojinaga and possibly to the infamous Rafael Caro Quintero, a major narcotics trafficker from Guadalajara. The possibility exists that Amado Carrillo Fuentes is the same as Armandad.